 A party of archaeologists become interested in the origin of a strange gold bracelet that Cheta gives to Jane when she returns from spending the war in England. They suspect that it may have come from a purported race of lost Amazon women. 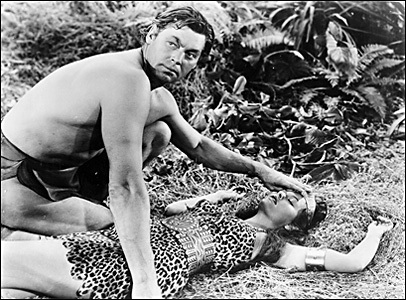 Tarzan, the only one allowed to enter or leave the Amazon's land, refuses to guide them because he respectes the Amazons desire for privacy. The archaeologists, guided by a greedy fortune hunter named Ballister, set out to search for the mythical realm. Boy, who has followed Tarzan there, offers to guide them because he feels that Tarzan is being obstinate. 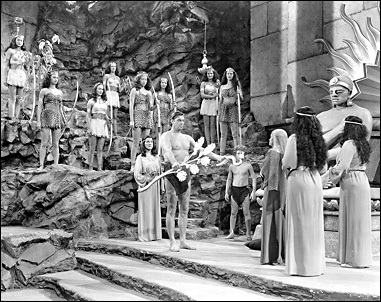 The party and Boy are taken prisoner but are freed by Athena, an Amazon that Tarzan previously rescued and befriended (above). Overtaken by greed, the party begin looting the treasure vaults and must fight off the Amazons to escape. Ballister succeeds in removing two large golden sacrements but Tarzan heads him off and the thief falls into quicksand. Tarzan returns the stolen sacrements just in time to save Boy who is about to drink poison as punishment for breaking the Amazons' laws. 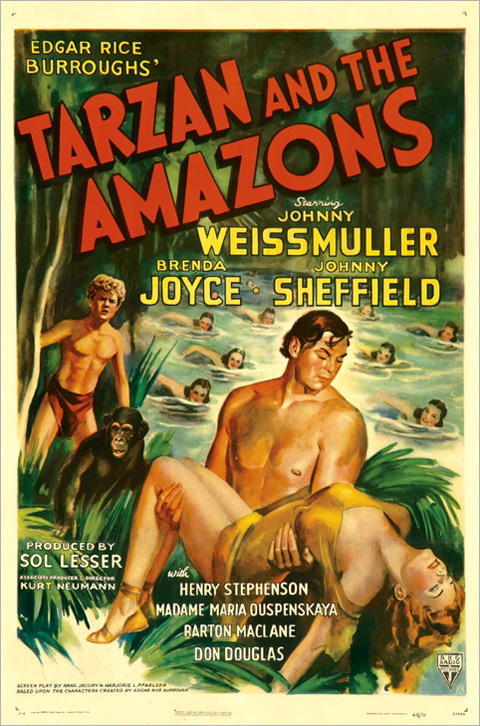 Tarzan makes his peace with the Amazons (left) and he and Boy return to Jane. 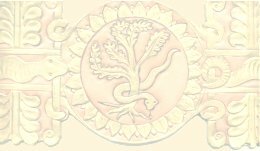  The background image of the symbol of Palmyria is from a leather belt replica created by Robert E Lee "Bob" Brown, the original wardrobe craftsman on this film. The image was donated by Geoff St Andrews, as were both photos. Many thanks Geoff.